All PALO VIENTO 1 homes currently listed for sale in Scottsdale as of 04/25/2019 are shown below. You can change the search criteria at any time by pressing the 'Change Search' button below. "Private and secluded, this rare waterfront residence was featured in the May issue of Phoenix Home and Garden Magazine and described as one of the finest homes in the Valley. If you are looking for that one-of-a-kind home experience, then this is your new home. This North/South facing lot is tucked in to the end of a quiet cul-de-sac while sitting on a large corner lot of the lake. 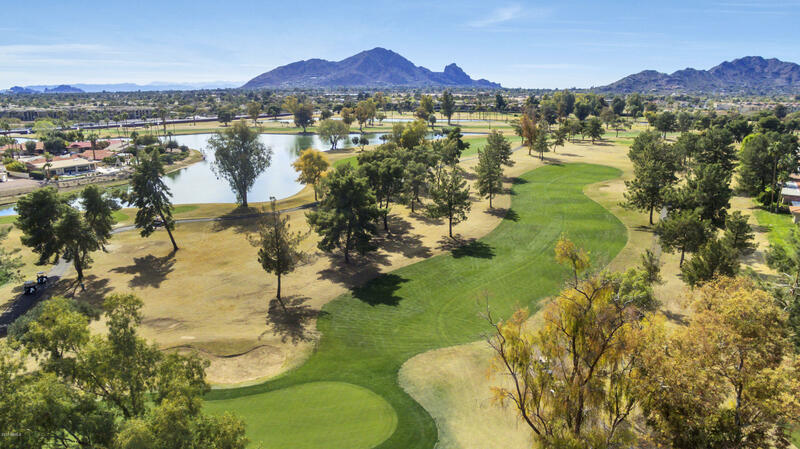 With 175 feet of unobstructed lake, golf course and McDowell Mountain views--this is the best lot on the lake. Ta"
"From the minute you enter the walled private courtyard, you know you have found a special jewel. This stunning, modern Spanish lakefront property is located in the highly-desirable and centrally-located community of McCormick Ranch. This totally remodeled home is the product of noted designer Wendy Black Rodgers made to take advantage of spectacular golf course and lake views with large, bi-fold window walls. Wendy is noted for creating elegant homes with details that feature the perfect atmosp"
"DON'T MISS THIS STUNNING CUSTOM GOLF COURSE PROPERTY BORDERING ON THE PRESTIGIOUS PARADISE VALLEY FARMS SUBDIVISION IN HIGHLY DESIRABLE MCCORMICK RANCH. THIS ENTERTAINER'S DELIGHT ON MORE THAN 1/3 ACRE IS SITUATED ON THE ELEVENTH FAIRWAY OF THE MCCORMICK RANCH PALMS GOLF COURSE WITH EXTENSIVE GOLF COURSE AND LAKE VIEWS. HOME FEATURES 4 BEDROOMS AND 3 BATHS, A PRIVATE COURTYARD ENTRY WITH FOUNTAIN, GORGEOUS SOLAR HEATED PEBBLE-TECH FINISHED DIVING POOL AND SPA COMPLETELY RENOVATED IN 2016. SPAC"
"Highly sought after Scottsdale neighborhood with all the high end amenities, dining and shopping you could ask for. Extended covered patio with new travertine and cement pavers in the backyard, smooth stucco on exterior, new hardwood floors, remodeled kitchen with Bosch appliances, vaulted ceilings throughout the kitchen and great room area with fireplace and great natural lighting. Large master bedroom and bath, split floorplan with office area off the dining room. Easy to maintain mature "